Today we’d like to tell you about the history of a Slow Food network grass-roots project. It is the history of Slow Farms, in Colombia and Cuba, which is going to be extended throughout Latin America and the Caribbean. The project is an initiative to revive, protect and strengthen traditional small and indigenous farms, as bastions of food security and sovereignty for the people of the Americas. Néstor Mendieta, a Slow Food activist in Colombia and leader of the movement in Bucaramanga, tells us how the project came about and why it is so important for his country. What is the situation of the countryside in Colombia? The situation is serious and is a reflection of the abandonment of our farmers. According to the National Agricultural Census, the multidimensional poverty index in the countryside is 44.7 percent, double the national total, which for 2014 was 21.9 percent, and almost three times the urban index, which was around 15.4 percent. In addition, 11.5 percent of the rural population over 15 years of age cannot read or write. 83 percent of producers stated that they had no machinery and the same percentage said they had no farming infrastructure. The difficulties faced by farmers have led to the land surface area for permanent crops being increased, while temporary cops, such as maize, soya, potatoes, rice and vegetables, have not grown much. 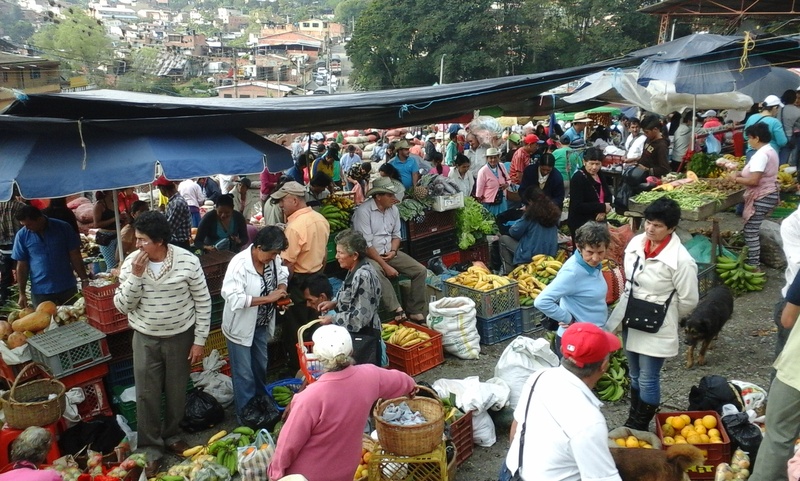 As a result, Colombia imports 28 percent of the food it consumes. Clearly, the young workforce is abandoning the countryside, because they do not see future opportunities there. Moreover, while it is true that armed conflict has ended in most of the country (massacres and forced recruitment no longer happen and the life of those in the countryside is not under imminent threat), during 2018 and 2019 more than 200 community leaders were murdered. In a large proportion of cases, the murders appear to be associated with two phenomena: land restitution, which is part of the reparation process for the victims of armed conflict, and actions by environmentalist leaders who try to prevent mining and energy production. Mining is threatening the rural fabric of Colombia. What is the situation and what serious situations threaten the Slow Food network? Without doubt, mining is something that seriously impacts life in the countryside, especially in those areas where mining has not been a traditional activity. Normally, mining companies know more about deposits in the local area than the local population do. Mining licenses are often obtained very easily and businesspeople start to seduce small landowners to sell their land. Gradually, the farming sector is becoming penned in not only by the environment being compromised, by water pollution, for example, but also the loss of labor that used to be dedicated to agricultural production and is now focusing on mining. The threat is so great that in dozens of municipalities, the local inhabitants have mobilized to slow down the issuaing of mining licenses by means of popular consultations, which are votes in which the community expresses its agreement of disagreement with mining in their area. These consultations clash with Colombian legislation as, according to the law, the subsoil is considered to be the property of the nation and, therefore, mining can be carried out without consulting the local inhabitants. In this regard, political sectors related to mining have started taking steps to stop these consultations being held and the impact that the have on public opinion. What is a “finca veleña”? How does it work and what is its tradition in Colombia? 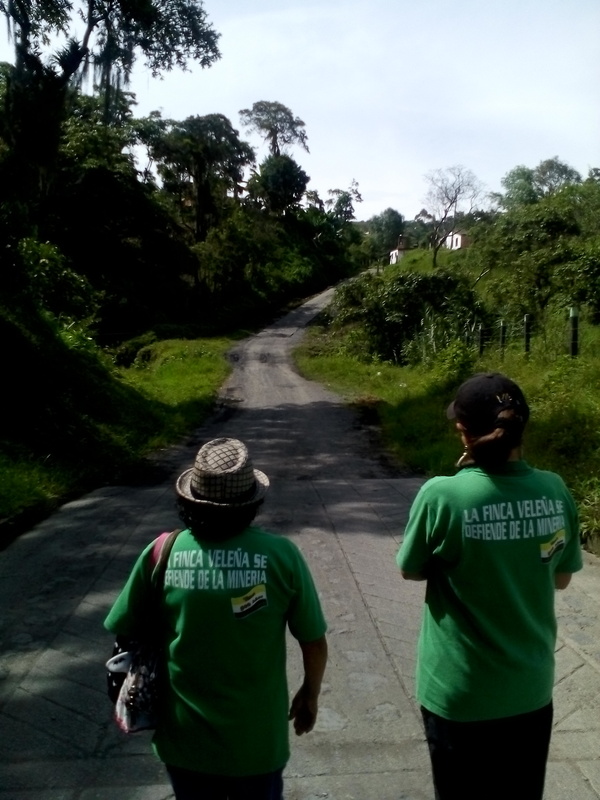 “La finca veleña se defiende de la minería” [“Vélez farms fight back against mining”] is an initiative that originated in the municipality of Vélez (department of Santander) which is emerging as an alternative to the threat of mining that the region has been facing for more than five years. It came out of a movement known as “Vélez 500 años” (in reference to the foundation of the municipality in 1539), which promotes the construction of a municipal vision to come to fruition in 2039. The “finca veleña” is a model agreed upon by farmers in Vélez, which sets out the necessary qualities for farms to be sustainable, both in environmental terms, and in economic and social terms. From there, farmers support each other so their farms can meet the agreed standards. Similarly, partner organizations also manage those aspects that affect farms, but which do fall within the scope of individual farmers. For example, education for children in the countryside, health services, means of communication and, in particular, land management regulations to protect them against the threat of mining. How did the Slow Farms project come about and why do you think it is very important? The experience of the Finca Veleña project was the inspiration to promote agreements between farmers in several municipalities in the Magdalena Medio region. However, it was clear that threats like mining or agrofuels are supported by very powerful economic forces, so we need to confront them with a great social force that can counter powers that are clearly greater than those of local government. In this way, with several institutions that we have been working with for more than 15 years to strengthen small-scale farms in this region of Colombia, we decided to promote the initiative, which in principle we called “10,000 sustainable farms for Latin America”. This name, inspired by Slow Food’s ongoing campaign in Africa, quickly created the idea of a group seeking to safeguard traditional food systems. The proposal therefore not only involved farmers, but also many people living in cities who understand the need to make small-scale farms part of public heritage that must be protected and strengthened for everyone’s benefit. How many farms are participating? What are their features? Give us a relevant example. In Colombia, the work unit is the local hub of 10,000 small farms. It is a group of farmers and social leaders that promotes the initiative in each municipality. The hub should bring the people of the municipality together so that they can create the sustainable farm model for their area and start promoting it with their own local resources. At present, around 58 local hubs in 12 different departments of Colombia have signed up. Each hub might be promoting the conversion of at least 300 small farms. In the case of Vélez, for example, more than 50 farmers are involved in the initiative and, according to their own criteria, eight farms have already met the standards of the model. 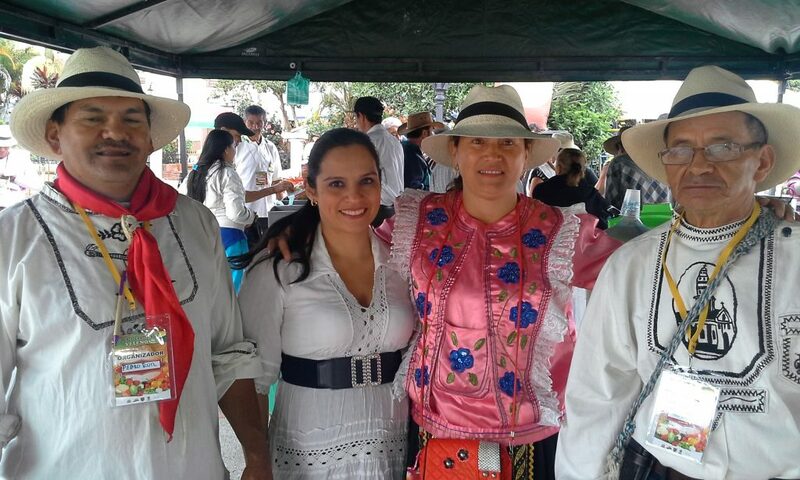 It is worth highlighting the experience of the municipality of Susa, in central Colombia, where farmers have maintained livestock farming practices in areas of the páramo that affect the conservation of woodland and water sources. Having got together to establish their own model, they decided on their own initiative to reduce the number of animals for breeding and are replacing this activity with growing orchards. In addition, they have focused on the revival of native woodland and protection of the páramo to ensure the conservation of water sources. When they were reminded that several of these actions had already been suggested to them several years earlier, the response of one of their leaders was: “Yes, but people don’t like being forced”. This shows the importance of involving farmers and emphasizing that sustainability starts with establishing agreements at grass-roots level. Why should this project be adopted throughout Latin America? In most Latin American countries, small-scale and indigenous agricultural production is seriously under threat and there is a lack of state policies to protect it and adequately promote it. Cuba is an exception. Here, agroecology is a state policy and farmers are guaranteed the right to technical assistance, a benefit that, for example, only 10% of Colombian farmers receive. Moreover, from a collaboration that we have undertaken with the Slow Food network in South America, we have established that traditional food systems face the same threats in most of our countries. Therefore, during the meeting held at Slow Food’s Terra Madre 2018, we identified that small-scale farms on our continent (with the different names they are known by such as milpas, shagras, chacras or parcelas) are the backbone of our food sovereignty and security, and they are a real bastion for the food sustainability of mankind.